Capture your moves and get noticed with SincVideo! 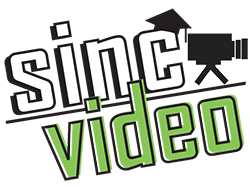 SincVideo will be on site to film your matches in High Definition! Do you want to play at the college level? College recruiting has advanced to the digital world. Your basic profile and emails are just a starting point. If you want to be seen and leave a lasting impression with college coaches, recruiters, and scouts, GET a highlight video that leaves them wanting more! Order yours today! Still have questions? See what SincVideo is all about!